It appears that Jordan Brand’s teams in the NCAA Tournament are getting blessed with some Air Jordan 3 PEs. 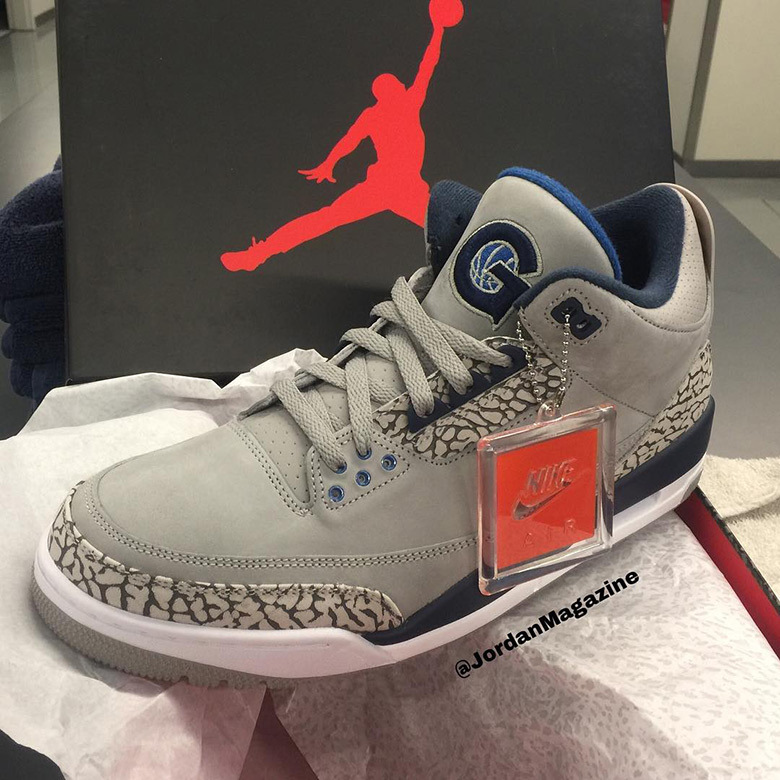 The Georgetown Hoyas are the lucky recipients of this Air Jordan 3 Retro that utilizes the classic elephant print with a grey/blue exterior, while the Nike Air hangtag suggests that this Players Only design will feature the original brand logo on the heel. More photos of the Air Jordan 3 “Georgetown” as well as first looks at PEs for UNC, Michigan, and more will undoubtedly appear soon.